The most compact Holographic Weapon Sight! 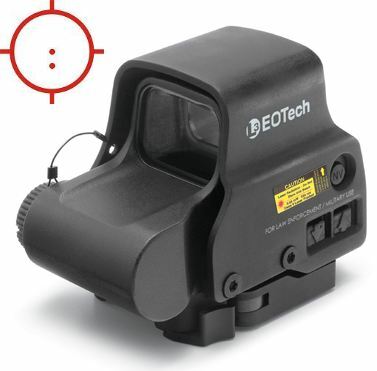 The Eotech EXPS3-2 HWS holographic sight is even smaller than the former N-cell battery sight (511/551), the single 123 battery giving it a vastly greater battery life. The use of a single battery enables a much smaller red dot sight taking up a mere 2.75 inches of rail space. The Eotech EXPS3-0 to a Picatinny or Weaver rail via a single quick detach throw lever. The mount is 7mm higher to enable compatability with a wider range of night vision equipment and magnifiers and to enable the co-witnessing of back-up iron sights. The point of impact is adjusted via two clearly graduated, recessed side mounted dials. Transverse battery mounting eliminates any possibility of recoil-related battery contact issues. A 65 MOA circle with two 1 MOA dots, one at the centre and one below provide for fast target acquisition and precision. This sight is compatible with nght vision and the Eotech G23.FTS magnifier, the buttons having been repositioned to the left hand side to allow the night vision unit or magnifier to be mounted as close as possible to the HWS. 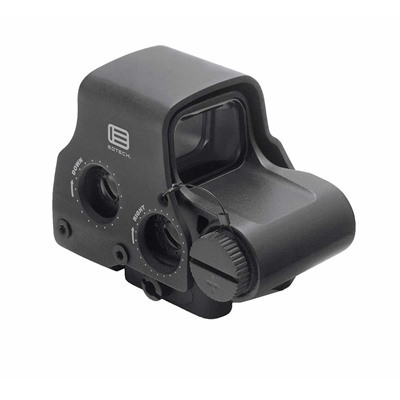 As with other Eotech holographic sights, the EXPS3-2 offers exceptionally fast target acquisition and is highly tolerant of head placement and shooting position. Eotech vs Aimpoint the former is significantly less expensive although somewhat larger than the latter’s compact models. Aimpoint vs Eotech, battery life is significantly less than for the Aimpoint, measured in hundreds rather than tens of thousands of hours. 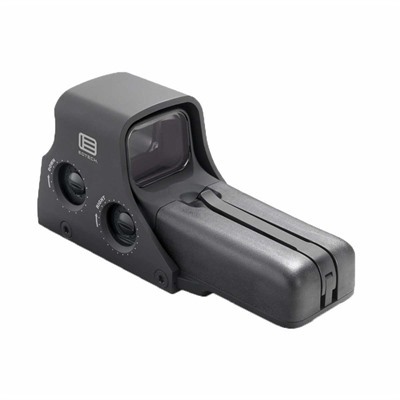 The Eotech XPS3-2 Holographic Weapon Sight is Night Vision compatible, for non-Night Vision compatible units see the XPS2 sights. Check the price of an Eotech EXPS3-2 at Brownells, a name you can trust. 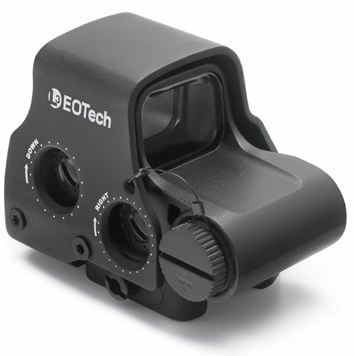 If you purchase an Eotech EXPS3-2 Holographic Weapon Sight from Brownells I will be paid an affiliate commission. 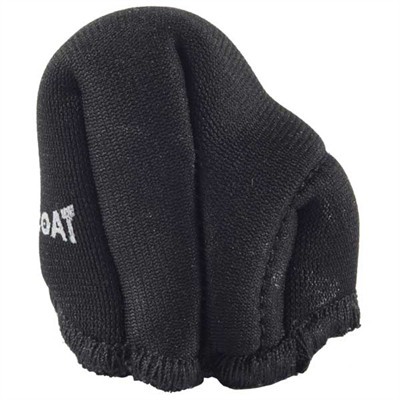 This will help keep this site online and will not affect your purchase price.